You are here: Home / Craft for Toddlers / Toddler Busy Bags – Magnet Board Fun! 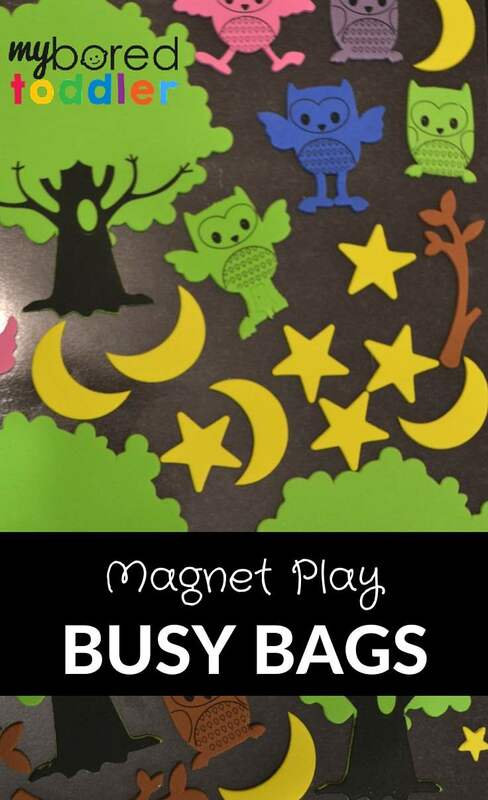 Toddler Busy Bags – Magnet Board Fun! 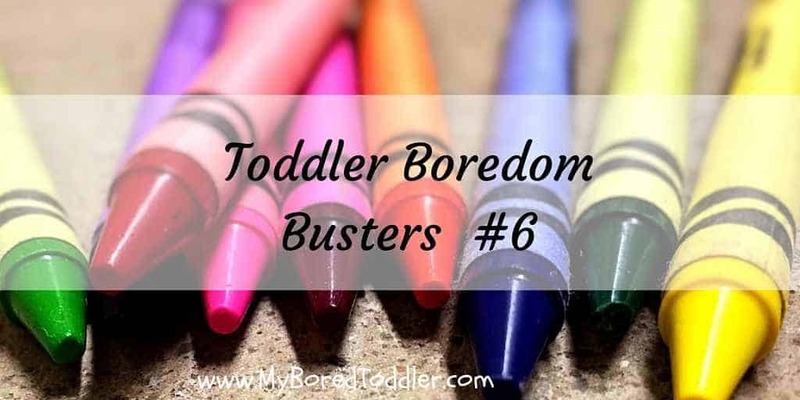 Toddler busy bags are one of my favorite toddler activities. 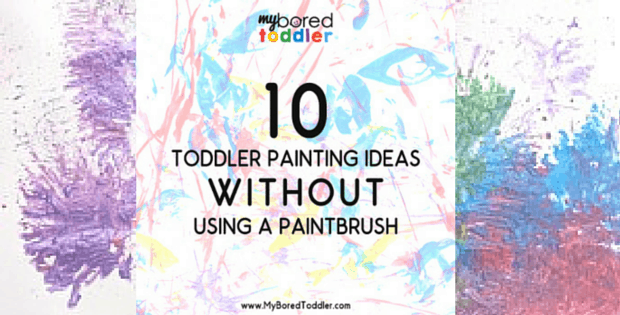 They are designed to be primarily independent activities that you can use to keep your toddler busy for 5-10 minutes. I have found that busy bags are great for when you need to feed or change a younger sibling, when you’re waiting for an appointment or need to make a quick phone call. Our letter is ‘M’ and our busy bag activity is magnetic play. When you see the activity you’ll realise that I have used large magnetic sheets rather than small magnets. There’s a really important reason for this and that is due to the dangers of children swallowing them. The big magnetic sheets are fantastic and I strongly recommend using these rather than the smaller stick on style magnets. I bought mine from a local craft store and you can buy them here from Amazon. For our busy bags we made a woodland scene, however the best thing about this activity is that you can make whatever you want. The magnet sheets have adhesive on one side, so you can stick on whatever pictures you like. I’ve recently made another bag using pictures cut out of old sticker and activity books and the kids love it! Choose the stickers or images of your choice. Place the magnets on the baking tray. I like to store these in a large zip lock bag. The cookie trays make a great magnetic play surface, however fridges or magnetic white boards also work well too. This is such a great idea. We love playing with magnets. Great idea! 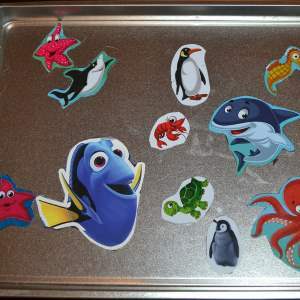 I have made magnet boards for my toddler using printables but never thought of using stickers on a magnetic sheet. I’ll check if I can find some here in Germany to make something like this. Super great idea. I will have to check these magnets out on Amazon!